Hi there and Happy Friday! It also happens to be payday Friday for me. Color me excited. Let’s get to my faves this week! 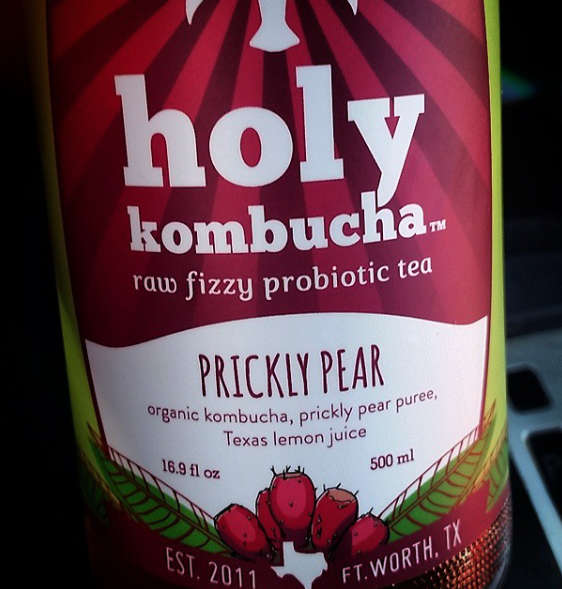 –Holy Kombucha. Plus I just love supporting local products and Texas has some of the best. Probiotics and feel good happy vibes all in one bottle. -Teaching my first hump day spin class of 2015 and it was the most fun. We party, sing, dance and laugh and I love it so much I wish it was longer than an hour. I even tweeted about it. –Rules of text messaging. Yes…please friends, spell it OUT for me. The phrase “WYD” drives me nuts. -Blanket scarves? I kind of have to have one. –5 cold weather dinners to get you through winter. I’m feeling that quinoa dish. –New year, same disaster. This girl provides me with so much gif happiness. –This song. It immediately makes me happy when I hear it. I could be in the funkiest of moods and it will bounce me right back to my happy Chelsea place. That is all…until next week, friends! Be good…or be good at it. This entry was posted in Friday, Fun, Running, Spin class, TGIFriday Faves by thedancingrunner. Bookmark the permalink. She is brilliant and awesome! Glad you enjoyed Sherita’s post! I think you need to get a video clip of your hump day spin class and post it on YouTube. Guessing it will go viral! I have been LIVING in my blanket scarf from J.Crew all week. It’s a necessity for this time of the year. You need one. Ooo you fancy huh with your J. Crew scarf…sounds fabulous! i’m guilty..i’ve kinda become the acronym queen. WYD, ROTFL, PYT <—-just kiddin'. happy friday! Oh madam you are definitely a PYT!! I’ll give you a pass on that one!! I am very happy to hear that! Thank you so much for visiting! Favs- my Fitbit and washi tape (lol). I just found out what washi tape is and i love it. I’m decorating my planner and journal. The DIY bug has bit me. Fun! Yes I totally need (someone to buy me a) fitbit!! Ha!!! Read my reply to Michelle. It’s especially funny when dating and when every guy seems to want to use it when texting. It’s like really, come on…be creative! That is really funny! I still had to reread your answer 3 times to understand it…DOH! I can’t believe I’ve never seen that! Um, I think I need a blanket scarf too! Love how they look. Happy Friday girl! Right?! They look super cozy and warm! Such a good Friday faves, especially Samantha waving us out. Those recipes are light yet comforting. I want to try all of them. Have a great weekend! Thanks Char! Right back atcha! 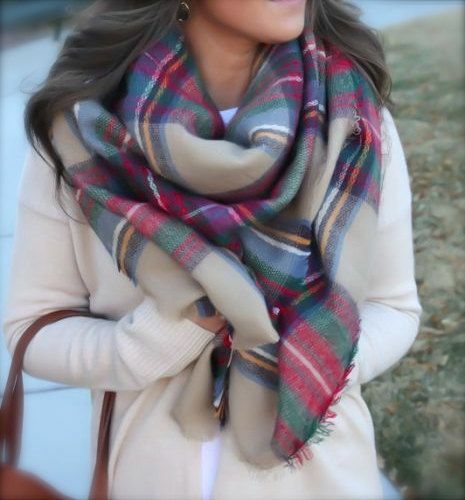 I think I have to have that blanket scarf too! ASOS has one very similar! I’m definitely going to have to get one. I always find fun new blogs to follow from your Friday Faves!!! Vodka & Cupcakes looks like a fun one for sure!! !